Credit card retention is a popular topic on the blog. Looking at the comments on yesterday’s post about Citi shutting down accounts with the automated system puzzled me. 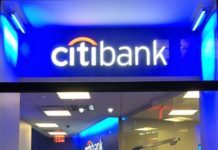 Yes, Citi has the right to do it, but they should make it more than clear to the customer that their account is being shut down via the automated system. More importantly, I simply don’t understand why a company that spends so much money on customer acquisition would do such a thing. With that said, the topic of retention isn’t limited to calling up a company and threatening to cancel so they will give you something. Sure, it is fun when that happens, but I speak to retention representatives all of the time for other reasons. My wife and I apply for and open a lot of cards. We are constantly evaluating our need to keep a card or perhaps to convert it to something else. Over the past week my wife and I have had retention experiences with four different banks since a cluster of cards just hit annual fees. As you will see, the outcome at each of the banks was different, but satisfactory to our needs. Let’s take a look at what we were offered, what we decided to do and some takeaways from the experience. My wife applied for this card when it was still the US Airways Mastercard. The card actually comes with an anniversary bonus of 10K miles, but those already posted and we did not want to pay the annual fee on the card. Since Barclaycard’s retention has been stingy lately and since we have other American Airlines credit cards, my wife wanted to cancel. She wasn’t even seeking out an offer. When my wife first called in she got a rep who wasn’t very friendly. That representative offered a credit equal to half of the annual fee. At that point she was just going to cancel when something lucky happened. The call dropped out. When she called back a much friendlier retention rep offered to issue a credit equal to the annual fee and also offered 1 additional mile per dollar spent on gas, groceries and utiltiies for the next 90 days up to 8K bonus miles. Verdict: My wife decided to keep the card to extend her average age of accounts and for the bonus. Takeaways: Barclaycard’s retention teams have varying offers. Push for what you want and if you don’t get it consider hanging up and calling again. A little over a year ago I opened an Amex Business Gold account during a 75K bonus offer similar to the one I covered the other day. While this account has been good to me (especially considering Amex Offers), I don’t really want to pay the $225 annual fee. ($175 + $50 for AUs). With that said, I do believe keeping some accounts for longer periods with Amex is good for my banking relationship with them. The other day I called up American Express to go over my options. Of course I was hoping for some sort of offer to keep the card, but that never came. I knew I could downgrade to a Green card with a $95 annual fee, but I hate paying an annual fee for a card I will barely use. The rep I spoke to was knowledgeable and he almost sold me on keeping the Gold card for the 3X computer hardware category, but I have access to my wife’s Gold card if I need to make a purchase. Verdict: After thinking it over, I decided to downgrade to the Business Green which will start the 12 month clock ticking on me getting the Gold again if I want. Sure that card still has a $95 annual fee, but one good Amex Offer will more than pay for that considering my AU cards. Some people would never pay this annual fee, but I see it as a way to invest in my business relationship with Amex. Takeaways: Amex is one of the best banks about allowing for product conversions. It is a good idea to research your options ahead of time since the rep might not offer you all options at once. While I didn’t receive a retention offer, some people have recently reported that they have received offers for statement credits on various cards, so it doesn’t hurt to ask. My wife’s three year old AAdvantage Platinum Visa card came due recently as well. She got this card at the same time as an AA Amex by using the old two browser trick. Recently when calling in on the Amex, she was given a credit equal to the annual fee (after making 5 purchases) so she is keeping that card. Unfortunately the Visa card has no such offer, so she decided it needed to go. Verdict: Instead of cancelling the card, she opted to convert it to a Citi Double Cash. This way we always have a nice 2% card with no annual fee and more importantly the history of the account stays in tact. Takeaways: According to numerous recent reports from readers, Citi has tightened on their retention offers on the AAdvantage credit cards. Where annual fee credits were once the norm, it seems offers are still available, but harder to come by. There was a time when retention offers from Chase were very good, but it has been awhile. The Sapphire Preferred is another card where it is hard to get any sort of an offer. My wife called up on her card the other day not expecting an offer, but hopeful. Unfortunately there was no offer and the rep seemed eager to close her account. Not so fast though, there is a better option. Verdict: My wife asked to convert her Sapphire Preferred card to her second Freedom. In my review of the Sapphire Preferred I said it is a good card to get, but not necessarily to keep. I actually believe the Freedom is a more valuable card with its 5X earnings and no annual fee. The three main reasons to keep the Sapphire Preferred are for its 2X earnings on travel and dining, primary rental car insurance coverage and points transfers to partners. We both have Inks to cover the transfers, I think the ThankYou Premier is a better card since it earns 3X on travel and I like the insurance coverage, but don’t think it is worth the annual fee. Takeaways: Chase won’t let you apply for a second Freedom card, but it is possible to get a second (or third) one through the back door by converting the Sapphire Preferred. While Chase’s retention offers are almost non-existent, this conversion is valuable. For those who think retention is all about begging for offers, then you aren’t playing the game right. Sometimes the offers will come and sometimes they won’t. Formulating a strategy for which cards to keep and which ones to cancel is essential. Also, never underestimate the power of a conversion! I always go into a call knowing what all of my options are so I can make the best financial decision for myself. Do you disagree with any of our decisions? Let me know in the comments! Previous articleSuccess! Up to 37% Off Hilton Stays by Stacking Amex Offers is a Go! Next articleNBA Amex Bonus Issues & Misinformation: Is This Great Deal Worth the Trouble? I drive to the SM to buy VGC (hour drive) then to WM to buy MO. My question is can I just buy VGC from the GIFTCARDMALL and save the drive? Fees maybe higher but when working on min spend, I don’t care. There are some recent reports of GiftCardMall Visas coming without a pin. That would be my only worry with them. If you don’t care about fees then Giftcards.com Visas should work too. I had no luck recently with Citi on AA Platinum (AF or promotions). I think I’ll still keep it for the 10% rebate on redeemed points and it being one of my older cards, I will, however, get rid of the Citi AA Gold when it’s AF comes up. I’ve had it less than a year and just got it for the signup bonus points. No 10% rebate on the Gold. Does the Citi Double Cash have a sign up bonus? No they have not offered a sign-up bonus on that card to date. I like your strategy. The longer I play this game (going on 5 years now), the more I like conversions to no-fee cards. I’m waiting for both Hubby’s and my Citi AA personal and business cards to post annual fees to convert to no-fee cards. We each kept a Barclay Aviator card and had the annual fees waived recently. I also have been asking to roll credit lines into other cards with the same bank. Chase has done this for years. Barclay did it for me, combining the credit lines from an Aviator and an Arrival into one Aviator. They did the same for Hubby. I may have to consider changing my Sapphire into a Freedom when the AF comes due and using my one remaining Ink Bold for dining and travel. The other two Ink Plus cards are now Ink Cash no fee cards. We burn through a lot more URs than Thank You pts. A first for me yesterday when Amex offered me $100 to keep my biz Platinum open. I got in on the 100K personal one last summer and use the Gold for business for 3X on shipping – my business’ biggest expense. Tempting, but I would rather have the $450 back I paid in Dec. (After I got my 2016 airline fee reimbursement last week.) You can buy a lot of Go-Go passes for $350. My 2017 calendar is marked for when I’m eligible again. I don’t know that I’ll ever forget my first Platinum card. Dont 100% follow on the American Express Business Gold. So did you downgrade to a Green card with a $95 annual fee so you can keep getting awesome Sync offers and maintain a good relationship? Otherwise, no reason to pay the AF when you can start the 12 month clock by just cancelling outright. Also, whats up with the 3X computer hardware category? Was that a special retention category? Not really that enticing. Thank you for the post man! The 12 month clock starts on the Gold since I no longer have it. Yes I did pay the AF to keep sync offers since I have the main card and some AUs. The Gold card lets you choose a 3X category and one of them is computer hardware. For resellers that could be good since the category includes merchants like Newegg and Dell. Of course the AT&T Access More card should work at those places as well. Got it. Thank you for the response bro! can you convert other Chase cards to Freedom? I am planning to close my Chase United but wouldn’t mind having it converted to Freedom. Does the Amex Business Gold go against the limit of 4 cards? IIRC it doesn’t but I’m not sure of that. As far as your CSP, I’m going through that exact thing with the wife’s card right now. It’s set to hit its first AF on Monday. I had her call and I spoke for her and the rep told me downgrading to a Freedom was not an option. Note, she has one Freedom already. I then asked if I’d be able to have the AF waived if I called after the fee posts and downgraded to the Sapphire or if by chance the system showed a Freedom as an option. She told me pretty firmly (but politely) the system won’t show different offers after the AF posts and that the Freedom won’t be an option. Obviously I’ll be calling in on Monday (or later?) to test that theory. If your wife was able to convert to a second Freedom I don’t understand why I couldn’t pull it off? It is a charge card and thus doesn’t count against your limit of credit cards with Amex. That is strange on the Sapphire Preferred. The conversion call for us was simple and took less than 5 minutes. We asked for an annual fee waiver, were denied and then asked to convert to a Freedom and the agent processed it without an issue. It is already showing in the online account as a Freedom. First of all, Im shocked you even got your wife to agree to a phone call. haha. nice nice nice! Anyway, just HUCB x 10. Annoying, but in this YMMV game, you sometimes have to fight for it! i have various business and personal cards, but all are for miles and points. im looking to lease a new S 550, and a collegue mentioned he gets almost 6,000$ at the end of his leases. do you have any suggestion to get any particular lucury car with the greatest amount of rbenefits back? Was there a hard pull converting to the Citi Double Cash card? I have never experience a hard pull for a straight conversion. They do hard pulls when trying to shift credit though. It seems easy to convert a chase sapphire preferred to freedoms but how easy is it to do it the other way around? Converting CSP -> Freedom has not been easy for me (as posted above). Hopefully that changes after the AF posts. Stay tuned. I’m not entirely sure about your question though. Curious myself to see other’s responses. I know the no AF Sapphire obviously has an easy path to upgrade, not sure about Freedom though. Any luck.converting an Ink Bold to an Ink Cash? Or would you recommend getting a Cash first for the signup bonus? I had two Ink Plus and one Ink Bold. They waived the fee on the Bold and converted both Plus to Ink Cash. Not a bad strategy. Right now we have 1 Cash and 2 Plus that we just paid the AF on. Two more Plus are coming due. I have to decide if I think I’ll actually maximize the 5X on all of them. Decisions decisions. I have converted just fine. It is a tough decision on the Ink Cash bonus, but Chase is tight on approvals right now. Anybody has experienced getting the bonus points as a retention and still cancel the card at the end before the fee hits. So actually you keep the bonus points and cancel the card before the fee hits. Is it going to hurt relationship with the bank? Any info on this would be appreciated? Asked for Retention offers on my United Explorer card and the first time they said nothing available, and listed its benefits. Second time, also no offer but offered that i could pay for Annual fee with miles. I used the link and it wanted 11,785 miles or so. So, no offers for me. Still debating to keep card or not – do have a west to east coast trip planned but just don’t play on using the lounge passes and not sure if we’d really need to check in bags. With the card you get free checked luggage. If we did check bags (2 of us) roundrip it would pay for the annual fee.